When my neighbor John asked about putting a beehive behind my falling-down tool barn, I readily agreed. Keeping bees was on my bucket list because they are under such stress worldwide. The daily to-do list, however, usually trumps the bucket list. This was obviously a win-win deal. I envisioned occasional jars of honey as rent, not a beekeeper’s suit and smoker. 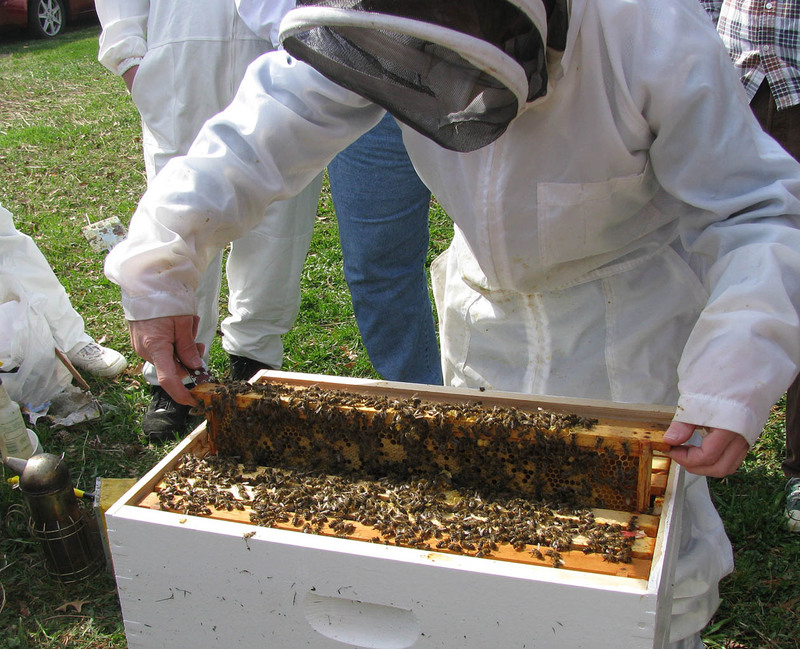 But John brought an extra white suit, complete with hood, veil and elbow-length gloves, along with the bees. When heading out to the hive, we look like a pair of hazmat techs with a wisp of white smoke trailing behind. The bees have a safe home base in my acre-plus yard. Being overworked, plus being too lazy to keep up a spray schedule and too cheap to buy chemicals, makes me a mostly organic gardener by default. Signs of backyard eco-health are sometimes startling — a clod of dirt that hops. It’s only a toad. From now on, when there’s time, money and gumption, landscape beds will be renovated with an eye toward flowers, whether on trees, shrubs, vines, perennials or annuals. Bees need plenty of food. 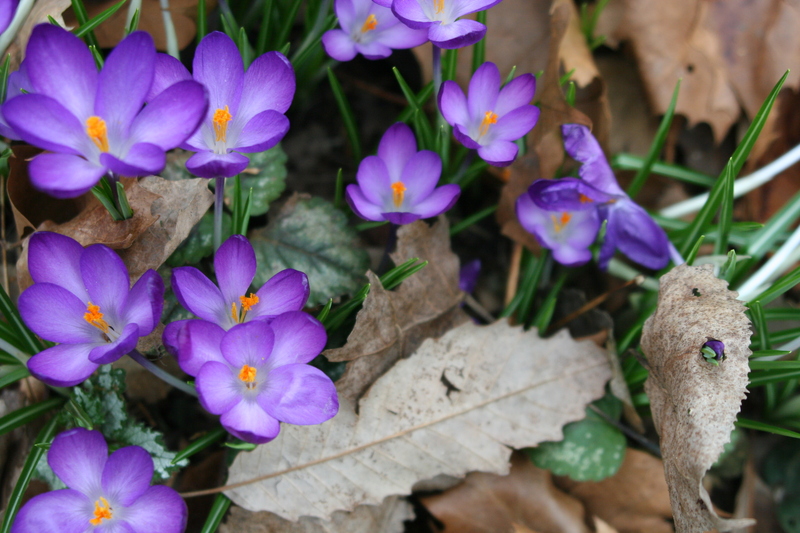 For instance, a huge order of snow crocus is planned so there’ll be a treat for the bees when they emerge on those warmish days of early spring. First they have to survive winter. John cooks up sugar-water syrup, similar to hummingbird food, to fill the hive’s feeder trays. The bees transform this into honey. When the stack of three wooden bee boxes becomes too heavy to lift, they should have sufficient honey stored for winter. 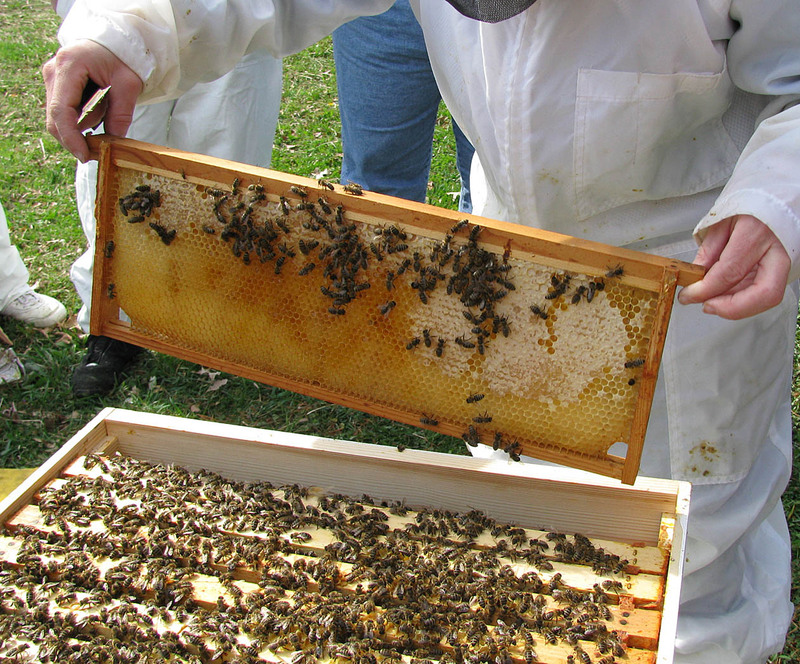 While our share of their efforts is perhaps a year away, the bees are already enriching my life. Their gentle humming is a welcome addition to the nature chorus of birds and summer insects. Plus there’s an amazing sense of interdependence that makes gardening seem vital. I grow flowers to enjoy, but now to feed bees as well. Someday they will feed me.